This sturdy table easel is made from quality seasoned elm wood and finished with brass coloured hardware and a leather carrying handle. The lower canvas support rest can be brought down below the table height offering a very versatile painting position. 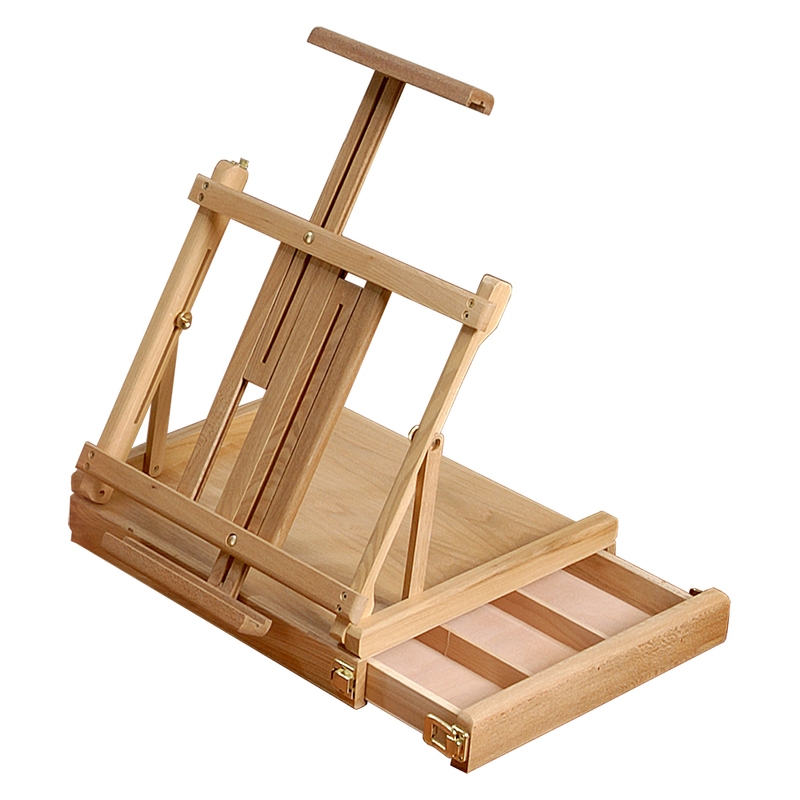 The easel has a useful drawer which slides out to the side.